This year will be the biggest growth period that Ruhnau Ruhnau Clarke has ever experienced. We are excited to share one aspect of our growth, our new office! Starting in early 2016, we began working on a massive renovation of our existing office building to transform it into an engaging and modern workplace. 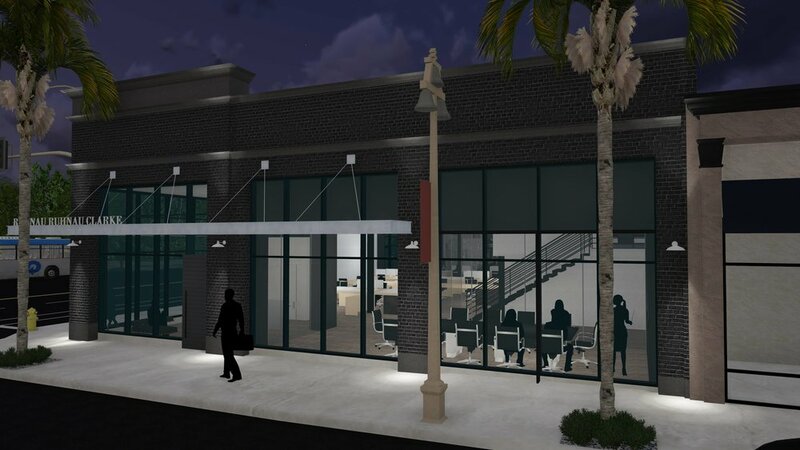 With a prime location on 10th and Market Street, the new Ruhnau Ruhnau Clarke office has the opportunity to add to the urban fabric of downtown Riverside. Take a sneak peek at the upcoming Ruhnau Ruhnau Clarke office building in 3D and virtual reality. To get the full experience watch the video below on a smartphone or iPad using the Youtube app. The video will appear in 3D, allowing you to move your device around and view the new office from any angle.